I was born in the village of Tytherington, 12 miles east of Bristol, on Nov. 10th 1921. At age 11, I was lucky enough to win a scholarship to the local Grammar School. My friends and I would search the hedgerows for bird’s nests, climb the highest trees in the area, kick a football leather case filled with hay (no pumped up bladder) to exercise our competitive desires. In the 1930s the military was expanding. Some young boys talked of joining the Air Force, the new Service filling the skies with Bi-Plane Open Cockpit Hawker Hart and Fury fighters, Handley Page Heyford Bombers and others. At that time the Royal Air Force offered an Apprentice program for Secondary educated boys between the ages of 15 and 17. This was initiated by Lord Trenchard, Founder of the Royal Air Force after the First World War. He estimated the need for young mechanics trained to service the complexities of aircraft engines, airframes and auxiliary equipment would be foremost in a successful Air Force. Baron Alfred Rothschild (The British Rothschild Banker) offered Trenchard His Mansion in the Chiltern Hills at Halton together with a number of adjoining acres of land to comprise a School for training these young aspiring mechanics, who could also become pilots on completing their training if physically and mentally able. This program appealed to me and, at age 16, I decided to apply for acceptance. Some boys from my school had previously joined the program and were delighted. I was accepted in Jan. 1938 and my life started anew. Off I went by train from Bristol to Marylebone in London, where I met hundreds of other boys for transportation to Wendover Bucks and the romantic camp at Halton. 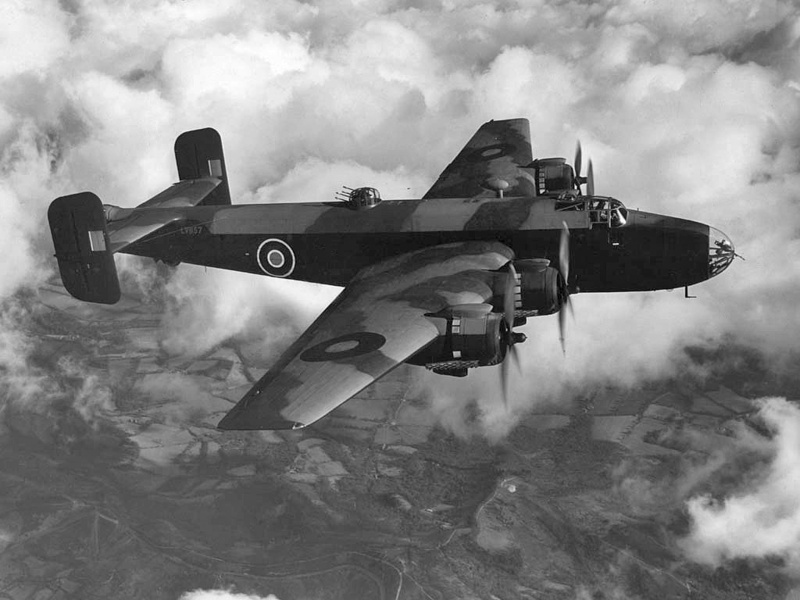 I was now a Trenchard Brat, as we were all called, set for a three year course on Workshops for practical, Schools for theories, Airfield for experience, Physical training and Marching Drill on the wonderful Parade Grounds of Maitland and Shepherd. All mornings commenced with breakfast in the Cookhouse, and then marching to the facilities behind a Pipe and Drum Band. The discipline was intense, but all who experienced it loved it. “One of the best things that happened to us in Life”. So say all of us who experienced it. We had not thought of War, but, Bang, it came when we were one year and eight months through our three year program. Gas masks were issued, lights were extinguished or covered at night, and Look Outs were organized for enemy action. Our courses were hurried, games and sports were eliminated. All for the purpose of having us graduate in less than three years. In May 1940 the great day came, after two years and four months of training. I, and a number of others, immediately volunteered for a pilots course. I was accepted and was sent to Flight Schools on Salisbury Plain. So I was being trained to fly whilst overhead the Battle of Britain was waged with ever increasing fury when in the air with my Instructor. I witnessed a number of planes with students and instructors shot down by marauding .Messerschmitt 110 fighters. Sad days. We were no more than 50 to 100 miles from the South Coast. Time and again we would be called to the Shelters, but like most young bravados we would stay outside to witness dog fights, often ending with a parachute exiting from one of the planes (German or British). We saw Stuka dive bombers, six or seven diving in a vertical line to bomb the city of Salisbury. When walking outside of our airfield we would occasionally intercept a shot down RAF pilot gathering his parachute silks around him to walk to the nearest centre or airfield. The evacuation of Dunkirk had happened. Our brave beaten armies had failed in France. 339,000 soldiers were rescued from the beaches by the little ships between May 27th and June 4th, 1940 and brought back to our shores. A Miracle. Our airfields were being bombed by hordes of Domier and Heinkle bombers with fighter protection but our spitfires and hurricanes held their own. September 15th was the peak of the Battle. Both sides’ claims were over-estimated, and then, another miracle, Hitler pulled his bombers from bombing the airfields to bomb the Docks of London. It allowed our airfields to be repaired and our production of fighters to increase, and we were able to repel the potential invader. The writings were on the wall. We had won the BATTLE OF BRITAIN. But Hitler made a great mistake, maybe the worst of many for him. I completed my training, became a multi-engine pilot, went to West Africa in December 1940 to ferry twin engine aeroplanes (Blenheims) from the Gold Coast Colony (now Ghana) through central Africa to Cairo in Egypt for fighting the way in the Western desert. The aircraft parts were shipped out from England, assembled by RAF mechanics and placed in air convoys for us to fly them to Egypt. 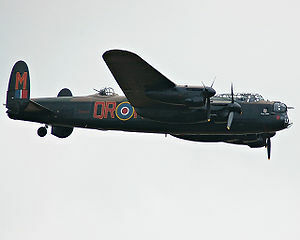 In June 1942 I returned to England, converted to fly four engine bombers, Halifaxes and Lancasters. My crew was a British empire crew: I the pilot (British,) sitting next to me the Flight Engineer(British), Australian Navigator, Canadian Bomb Aimer, Canadian rear gunner, British wireless operator and British mid upper gunner. We successfully completed 83 operational flights. 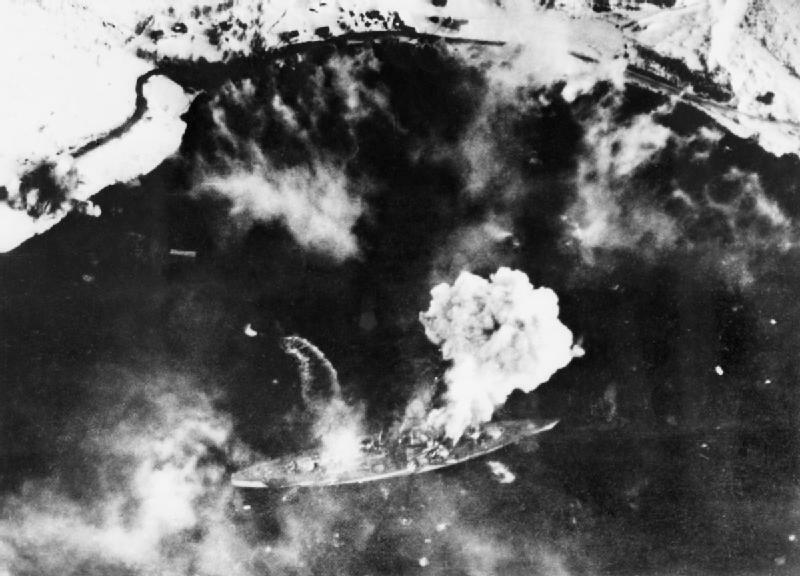 One of our last operations was on Nov. 12th 1944 when we flew with 31 other aircraft to bomb the German battleship Tirpitz in Tromso Fjord, Northern Norway. We succeeded in overturning that wonderful ship. Winston said "The Beast Has Been Sunk"
I left the RAF in August 1946 with the rank of Flight lieutenant and was lucky enough to be awarded the Distinguished Flying Cross (DFC). Was awarded this by King George VI with his wife and lovely daughters (Elizabeth and Margaret Rose) in-attendance. I went to Imperial- College London to study Aeronautical Engineering. Worked for Napier Engines in Acton London upon graduation. Emigrated to Canada (Toronto) in 1953 to work for Avro Canada. Left there in 1954 to work for Westinghouse in Philadelphia. Joined Solar Aircraft (Now Turbines) in 1955. Became a Chief Engineer (Wonderful Company). For 25 years. Moved across the road to Ryan in 1981 in charge of Remote Piloted aircraft propulsion systems. Have continued to operate my own Engineering Consulting Business to this day, but very spasmodically. Jeff Watkins marches every November in the Armistice Day parade to the Cenotaph in London with the RAF group. The Distinguished Flying Cross is the third-level military decoration awarded to personnel of the United Kingdom's Royal Air Force and other services, and formerly to officers of other Commonwealth countries, instituted for "an act or acts of valour, courage or devotion to duty whilst flying in active operations against the enemy".